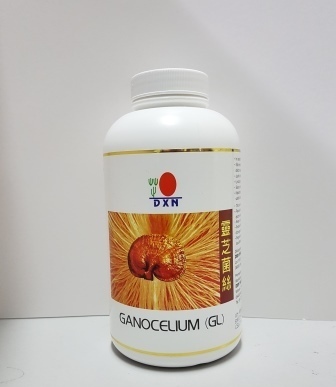 Ganocelium (GL) containing Ganoderma lucidum that are harvested from a 18 days old mycelium of Ganoderma lucidum. The mycelium is rich in polysaccharides, organic germanium vitamins and minerals. It has good effect in improving general wellbeing.